Coleman (undisclosed) was released by the Saints on Sunday with a failed physical designation, Field Yates of ESPN reports. Analysis: Coleman opened training camp on the PUP list, and while reports surfaced last week that he was close to 100 percent, the veteran wide receiver couldn't quite get right. 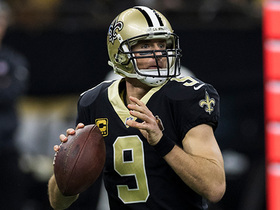 The 26-year-old operated as the Saints' No. 3 wideout for most of last season, so he could draw interest elsewhere if he's medically cleared before Week 1. Coleman (undisclosed) is nearing a return to action, Josh Katzenstein of The New Orleans Times-Picayune reports. Analysis: Coleman landed on the Physically Unable to Perform list earlier this week but little has been revealed regarding the cause for his absence. Per the report, Coleman was spotted with a helmet in hand at Saturday's practice, which serves as a good sign moving forward. The 26-year-old figures to provide some added depth to the New Orleans receiving corps in 2018. The Saints placed Coleman (undisclosed) on the Physically Unable to Perform list Tuesday, Ian Rapoport of NFL Network reports. Analysis: Since logging a veritable redshirt season in 2014 as an undrafted free agent, Coleman has been active for all 48 regular-season games in the meantime. 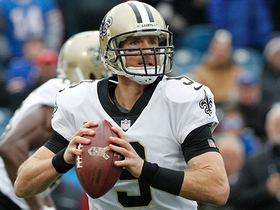 However, he missed the Saints' divisional-round loss to the Vikings in January due to a neck injury. The exact nature of the current concern is unknown, but Coleman won't be on the practice field when training camp opens Thursday. 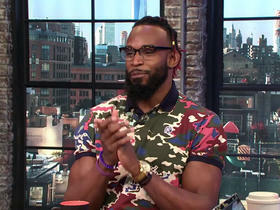 Coleman will re-sign with the Saints, Ian Rapoport of the NFL Network reports. Coleman didn't receive a restricted free agent tender from the Saints, Nick Underhill of The Baton Rouge Advocate reports. 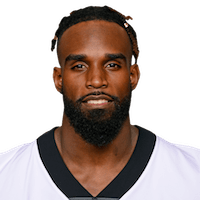 Coleman, who did not play in the Saints' 29-24 NFC divisional-round loss to the Vikings due to a neck injury, finished the 2017 regular season with 23 receptions for 364 yards and three touchdowns. Coleman (neck) has been ruled out for Sunday's playoff game against the Vikings. 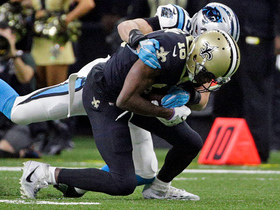 Analysis: With Coleman -- who hauled in four passes for 44 yards in last weekend's wild-card win over the Panthers -- unavailable this week, Willie Snead figures to see added opportunities in the Saints offense Sunday, while working behind Michael Thomas and Ted Ginn. Coleman didn't practice Wednesday due to a neck injury, Larry Holder of The New Orleans Times-Picayune reports. Coleman caught four passes on five targets for 44 yards in Sunday's 31-26 playoff win against the Panthers. Coleman (neck) doesn't have an injury designation for Sunday's game in Tampa Bay, Jenna Laine of ESPN.com reports. Analysis: Coleman was limited at practice all week but should be fine to handle his usual role as the Saints try to clinch their division. He didn't draw any targets last week and hasn't topped three receptions in a contest since Week 2. Coleman (neck) was a limited participant in practice Thursday, Herbie Teope of The New Orleans Times-Picayune reports. Analysis: The limited session amounts to a step forward for Coleman, who was held out entirely Wednesday. It's generally expected that Coleman will gain clearance to suit up Sunday against the Buccaneers, but he probably won't see much involvement in the passing game with Michael Thomas (hamstring) likely to be available and Ted Ginn having since recovered from a rib injury. When both Thomas and Ginn suited up in the Week 16 win over the Falcons, Coleman wasn't targeted once across 39 offensive snaps. Coleman (neck) didn't practice Wednesday, Larry Holder of The New Orleans Times-Picayune reports. Analysis: Despite playing more than half the snaps on offense in all but three games this season, Coleman hasn't topped three receptions in a single contest since Week 2. An absence for Week 17 against Tampa Bay would free up more playing time for Willie Snead and Tommylee Lewis. Coleman caught three passes on five targets for 20 yards but also lost two fumbles in Sunday's win against the Jets. Coleman caught two passes on three targets for 32 yards in Thursday night's loss to the Falcons. Analysis: Coleman got free for a 23-yard catch-and-run on a crossing route but he was quiet otherwise. 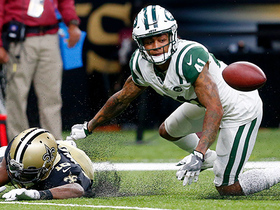 The big receiver played 32 of 52 offensive snaps (62 percent) for New Orleans but he remains an afterthought in the passing game. He can probably be left on the waiver wire in all but the deepest of leagues. Coleman caught two passes on two targets for 28 yards in Sunday's win against the Panthers. 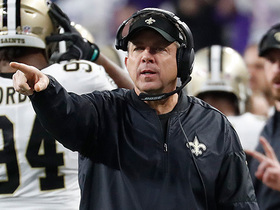 Analysis: Coleman played only 33 of the Saints' 64 offensive snaps on Sunday. He has slowly been ceding playing time to Willie Snead, but even when Coleman was receiving the vast majority of the snaps, he was hardly putting up consistent numbers. Regardless of his playing time, Coleman will likely remain an afterthought in the Saints' passing attack. Coleman was not targeted in Sunday's loss to the Rams. 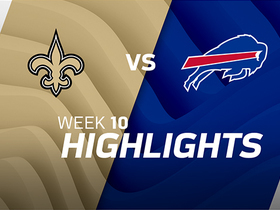 Analysis: As the Saints' No. 3 receiver, Coleman has only 16 receptions for 288 yards this season. Unless either Michael Thomas or Ted Ginn suffers an injury, Coleman probably has only minimal value in most fantasy leagues. Coleman caught one of two targets for six yards in Sunday's comeback win against the Redskins. Analysis: Coleman has caught exactly one pass in each of the last four games. In fact, the big receiver has just a single reception in six of the Saints' 10 games this year. The Rutgers product is still seeing plenty of playing time -- he played 52 of 71 offensive snaps (73 percent) Sunday -- but Coleman remains an afterthought in the passing game. Coleman caught one pass on four targets for 30 yards in Sunday's win against the Bills. Analysis: Coleman has caught just one pass in each of his past three games. An ancillary option in the Saints' spread-the-wealth offense, Coleman will remains an extremely risk play in most fantasy leagues. Coleman nabbed a seven-yard catch on his lone target in Sunday's 30-10 win over Tampa Bay. Saints wide receiver Brandon Coleman talks about head coach Sean Payton and the energy he brings to the team. Saints wide receiver Brandon Coleman talks about playing with QB Drew Brees. 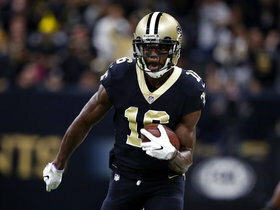 Saints wide receiver Brandon Coleman talks about his desire to stay with the team next season, playing with QB Drew Brees and his ongoing modeling career. 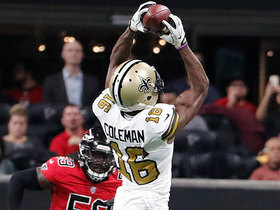 Saints wide receiver Brandon Coleman talks about being a restricted free agent and his desire to remain with the team next season. New Orleans Saints quarterback Drew Brees hits an open wide receiver Brandon Coleman for 19 yards. 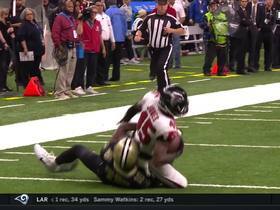 Atlanta Falcons linebacker Deion Jones nearly takes an interception off New Orleans Saints quarterback Drew Brees to the house. New Orleans Saints wide receiver Brandon Coleman slices across midfield for a 23-yard gain. new Orleans Saints quarterback Drew Brees throws to wide receiver Brandon Coleman for a 30-yard gain.